The speakers for the inaugural FEAT Canada have been announced. They are Anders Ourom, Hayley Shephard, JD Hare, Mandy-Rae Krack, Michael Schratter, Ryan Leech, Ryan Pogue, Ryley Breiddal and Shawn Leclair. Their brief bios are included below. Anders Ourom – Anders Ourom is an unlikely climber. He has been climbing since the early 1970s, and has done many modest routes at Squamish and elsewhere in B.C., and in the U.S. west, England and Norway, as well as lots of mountaineering and backcountry skiing. He once did triathlons, including the Ironman in Hawaii. 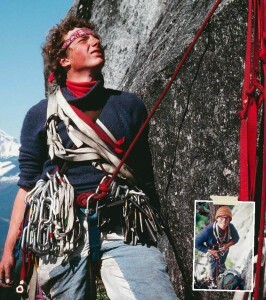 He likes to read and write, especially about climbing, and has been very involved in climbers’ organizations, in particular the Climbers’ Access Society of B.C. He will talk about how a frail and nerdy boy decided he wanted to be a climber, and how (with more than a little help) he was able to accomplish that goal, with a few interesting adventures along the way. Adventures and feats take a wide variety of forms, and a lot depends on perspective – doesn’t it? Hayley Shephard – An Alert Bay resident with a kiwi accent, Hayley, once a teacher moved her class outdoors where she spends most of her time on the ocean sharing in the company of whales, bears and penguins. 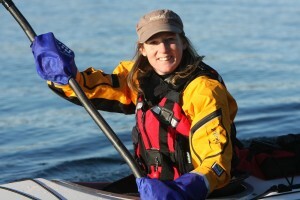 Hayley leads expeditions from Antarctica to the Arctic and throughout the Pacific Northwest. 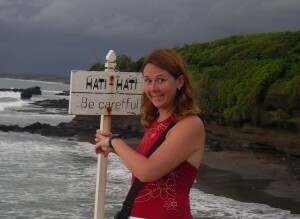 Introducing people to our natural wild environment is Hayley’s passion. JD Hare – JD Hare is a Whistler-based extreme skier who has spent many years exploring wild peaks deep in the BC backcountry, and in some of the most remote ranges on the globe. 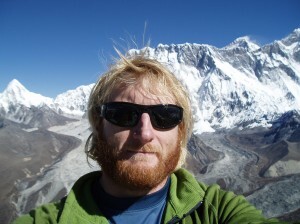 His relationship with the mountains has defined his life, but that relationship is changing. He will recount the story of a recent adventure, a descent on the west face of Tantalus Mountain that tested his mental fortitude, and attempt to put the experience into context. JD plans on telling the chilling story with enough personal background detail to highlight the moral conflict he feels, doing his thing in the mountains as a family-man. Mandy-Rae Krack – Mandy-Rae Krack was born and raised in Edmonton Alberta, far from the ocean that called to her since she was very young. Growing up her parents encouraged her to do whatever she loved, which always had to do with water. She was a competitive synchronized swimmer, life guard, swim instructor and at 15 years old-a scuba diver. After high school Mandy became a scuba instructor. Not too long after that, she loaded everything she owned into a small car and moved to the West coast to start a career in diving. That choice has taken her to world record depths, the Academy Awards and a life she would never have dreamt would be hers. 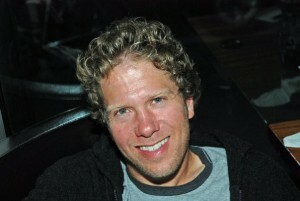 Michael Schratter – Michael Schratter is a teacher and columnist for Vancouver 24H. On August 1, 2010, he embarked on his Ride Don’t Hide campaign, cycling 40,000km solo through 33 countries and six continents to increase awareness of mental illness, combat the stigma surrounding it, and raise funds for the Canadian Mental Health Association BC. While cycling around the globe Michael published over thirty educational articles on mental health issues. In September 2011, Michael was honoured with CMHA BC’s Dr. Nancy Hall Public Policy Leadership Award. Michael finished his journey on November 12, 2011, riding with several hundred cyclists with a homecoming celebration at Rogers Arena in Vancouver. Michael’s mission is to shatter this stigma through open communication and education about mental illness through speaking in schools, workplaces, and with the general public. Ryan Leech – Have you ever been hopelessly addicted to sport, needing your daily or weekly fix? It is this type of obsession that led Ryan to earn a reputation for being one of the most progressive and technically skilled mountain bikers in the world. 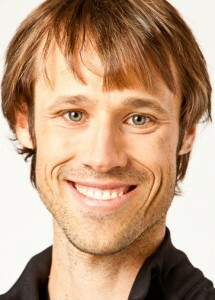 He has spent the last 16 years showcasing his skills by performing stunt shows for more than a quarter million people. He’s known to make the impossible seem effortless, and takes the same approach to his new role as a Professional Integral Coach™. Working privately with public figures to enact sustainable results in topics that deeply matter, he’s noticed a common theme for pro & recreational athletes alike, which is this uncontrollable urge to play! In his FEAT presentation, Ryan hopes to share some ideas as to why this is the case, what some of the healthy and unhealthy results might be, and to explore what hidden messages might emerge. 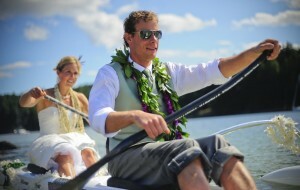 Ryan Pogue – Ryan is all about living a spontaneous, active and adventurous lifestyle – without regret and full of love. Finding warm water and big waves is his passion, and finding time to teach and build is how he gives back. He believes that your only real competitor is yourself and you can and should try everything you want! He will talk about his adventures racing outrigger canoes around Canada, the US and elsewhere, the rewards and benefits of paddling and how he brought his passions in sport and life together to form a career that helps motivate and inspire others to enjoy life on the water. Ryley Breiddal – Walking 40+km a day, for weeks in a row, with minimal human interaction is a different kind of challenge than most athletic pursuits. Long distance hiking requires mental fortitude, the strength to endure solitude, and just plain stubbornness. Between hiking from Canada to the Mexican border along the Continental Divide Trail (CDT) and the Pacific Crest Trail (PCT) he walked over 8,000km, spending 250 nights in the wilderness. He was mostly alone with his thoughts, uninterrupted. In “real life” he is the Chief Technology Officer at a small Victoria network security company, PresiNET Systems, where he sits in a windowless office, solving problems. For fun he play ultimate frisbee and does Crossfit. His next adventures are hiking some of the trails that crisscross Europe, and further out, walking the Appalachian Trail and the Te Araroa (across New Zealand). 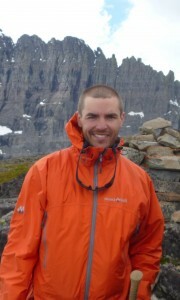 Shawn Leclair – Shawn Leclair, co-founder of Suburban RUSH adventure race is not a notable climber, trials rider or kayaker. She has never participated in the Olympics or done an international expedition. In fact if you Google her, you probably won’t find much about her. Her modest accomplishments include paragliding off a mountain, mountain biking in Dominican Republic, adventure racing, and jumping out of plane. But lots of people have done those things. So what the heck is this BC born and raised gal going to be talking about? Well – beating everyone on the couch of course! One Response to "FEAT Canada 2.0 Speakers Announced"